Looks like you are currently in United States but have requested a page in the Greece site. Would you like to change to the Greece site? Natural Gas Processing from Midstream to Downstream presents an international perspective on the production and monetization of shale gas and natural gas. The authors review techno-economic assessments of the midstream and downstream natural gas processing technologies. 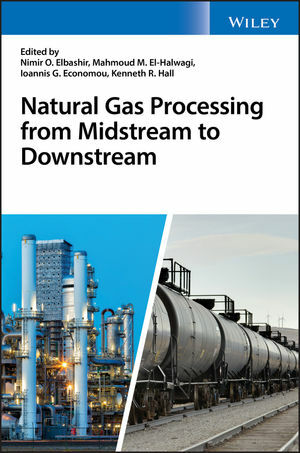 Comprehensive in scope, the text offers insight into the current status and the challenges facing the advancement of the midstream natural gas treatments. Treatments covered include gas sweeting processes, sulfur recovery units, gas dehydration and natural gas pipeline transportation. Written for Industrial scientists, academic researchers and government agencies working on developing and sustaining state-of-the-art technologies in gas and fuels production and processing, Natural Gas Processing from Midstream to Downstream provides a broad overview of the current status and challenges for natural gas production, treatment and monetization technologies.